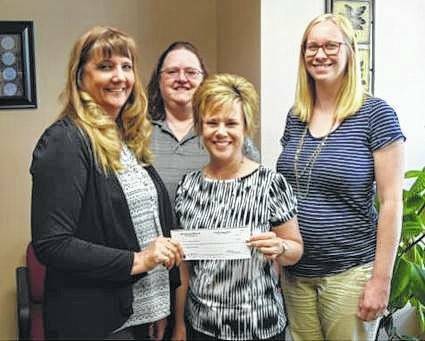 BUCYRUS — Each year during income tax season, the Bucyrus and Upper Sandusky offices of Mizick Miller & Company holds Saturday “dress down” days. The cost to the staff to “dress down” is a donation to a non-profit organization in which the staff has collectively chosen. In addition, the company of Mizick Miller matches the staff’s contributions. This year Relay for Life was the organization of choice. The mission of Relay for Life is to represent the hope that those lost to cancer will never be forgotten, that those who face cancer will be supported, and that one day cancer will be eliminated. At Relay for Life no donation is too small, each and every dollar counts. Donations help fund groundbreaking cancer research, patient care programs, and can make a difference in communities like ours. With every donation, you are helping the American Cancer Society save lives.